If you took my advice on what instrument to buy, you already have all of these accessories except for a strap. If you have a mandolin and nothing else, here are some important accessories that will protect your instrument, make you sound better, play with better technique, and prepare you with extras of the things that wear out (strings) or are easily lost (picks). A case is an extremely useful thing to own for your mandolin. Especially if you are playing away from home or traveling with your instrument, a case will protect you mandolin from many bumps and scratches. Some bumps and scratches will happen anyway, and I suggest you get used to the idea of not having a pristine instrument (take a look at Bill Monroe’s Mandolin). Gig bags are less expensive than hard cases, but are not as rigid and therefore less apt to survive a fall down a flight of stairs. Mandolin cases come in all price ranges, and I suggest buying a case that reflects the price of your instrument. Don’t buy a $700 case for your $200 mandolin, and don’t buy a $20 gig bag for your $10,000 instrument. The easiest way to stay in tune is with an electronic clip on tuner. These tuners rely on vibrations of the instrument rather than sound waves traveling through the air, which means they allow you to tune in noisy environments. 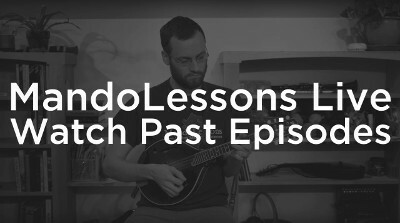 Having a strap attached to your mandolin improves your technique and playing posture, removes unnecessary strain from your playing, and makes your instrument harder to drop accidentally. Using a strap hold the instrument up in proper playing position so that you can put your focus and energy into playing rather than just holding the instrument. A piece of string or a long shoelace will suffice, but there are also many options for sale. Picks come in many shapes, sizes, and thicknesses. I recommend going to your local music store and trying out a bunch of different styles to see what you like. Each pick produces a different sound and has a different feel, and the choice is a purely personal one. I prefer large, thick, triangle shaped picks, but other people prefer thinner, pointier, or rounder picks. There are many different kinds of strings to choose from, and I recommend trying different sets as you go to see if any particular brand or model appeal to you. Strings can cost anywhere from $4 to $50 a set. Round wound strings give a bright, punchy tone often suited for bluegrass and folk music. Flatwound string, which are often more expensive, give a rounder, smoother sound that is often suited for jazz and classical music. 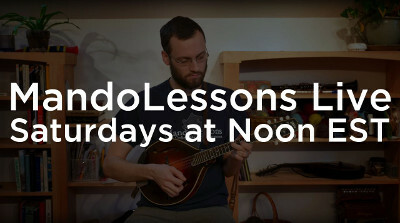 MandoLessons is a participant in the Amazon Services LLC Associates Program, an affiliate advertising program designed to provide a means for sites to earn advertising fees by advertising and linking to amazon.com. If you purchase something from my affiliate links, I will get a small commission with no extra cost to you. Thank you for supporting my videos!